His ultra story is secondary to the change in his lifestyle and vegan diet. So much to learn in nutrition from this. Really great lead me to Richs podcasts! Really loved it! Rich is an amazing character, the guy below down voting because of Rich being vegan is an idiot! do some reasearch before you buy an item - being plant powered has improved my fitness through the roof - don't disagree with veganism until you trail it yourself it's the healthiest lifestyle when done correctly plus the animals & planet will love you! 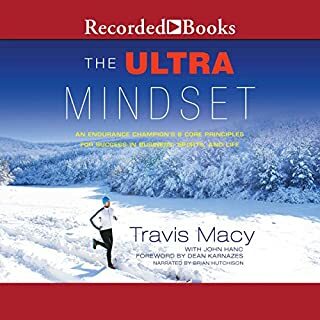 An enjoyable and enriching story that speaks truth, in relation to ultra sports, the capcity and resolve of the mind, body and spirt. No real evidence about eating vegan is used beyond anecdotal but it only becomes a bit preachy in the appendix. 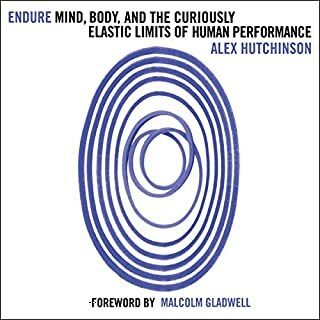 Beyond the often dramatized language surronding eating vegan, this is an incredible account on the triumph over the human mind and body. 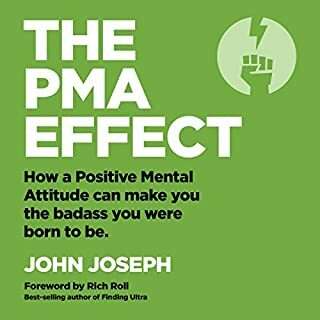 I'm a Rich Roll podcast fan already, and this book didn't disappoint. A great listen. Loved the story but would prefer it read by a professional orator. Strong story though just author is too involved. 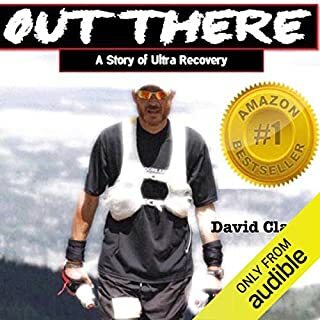 There’s an amazing story here, defeating alcoholism then going from middle aged slob to ultra marathon athlete in short time. The story is told with only a hint of vegan preaching, so okay on that front. Sadly it’s the delivery of this audio book that really lets it down. The author really should have hired a professional narrator. His monotone, emotionless delivery is mundane and at times grating. The reader/listener should take the veganism success story with some caution. Rich’s achievement is remarkable, sure, but he is an exception. The overwhelming majority of athletes consume a diet heavy in animal products. Loved this book and the narrator- couldn’t put it down! 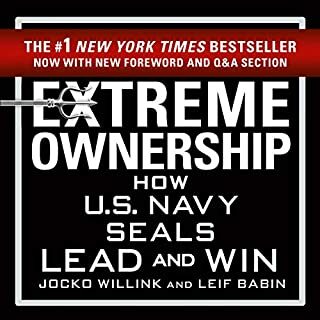 Definitely recommend it as your next read! I'm not a keen runner, never have been and I might never be. Nor am I a vegan and probably never will be. 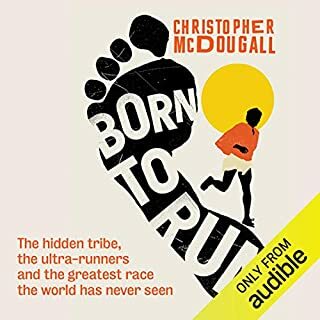 Doesn't sound like much of an advert for a book about a vegan ultra runner, does it? But whilst Rich makes it clear how he's benefited from heading what can only be described as 'all the way' down both of those paths, he doesn't force either of them on the listener. 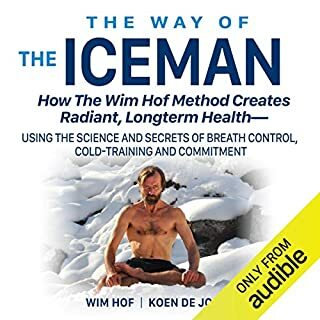 He's very honest about the stark realities that led him to make those choices and he describes, with retrospective passion, how the changes he made to the way he fuelled and strengthened his middle-aged body have improved his overall health and well-being. Oh, and they have helped him to achieve feats of epic athletic prowess that only handfuls of people will ever come close to. 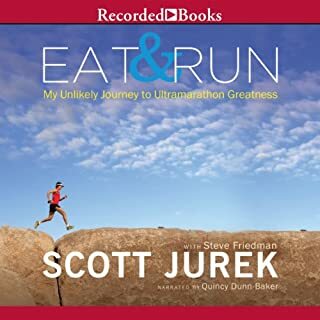 So while neither long distance running (cycling or swimming) nor giving up steak are for me, listening to this book did help inspire me towards making some significant lifestyle changes. 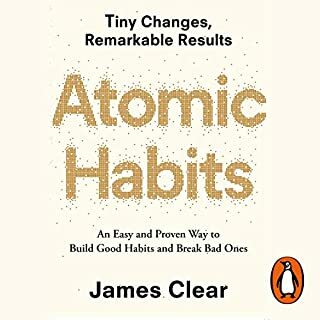 Putting my head back in charge of my diet - a key message I took from this book - helped me to lose 40% of my bodyweight and become a healthy weight for the first time in my adult life. And for that I'll be eternally grateful to Rich and his inspirational story. 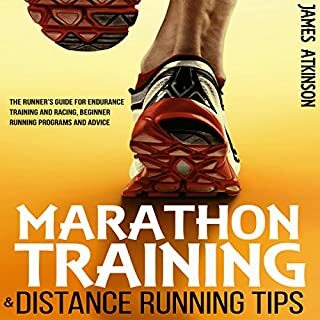 I came to the book looking for a guide to get me off the couch and running.. I didn't get that at all, what i got was far more. If this guy can turn his life around then anyone can. It's about human spirit and the love and support of others. 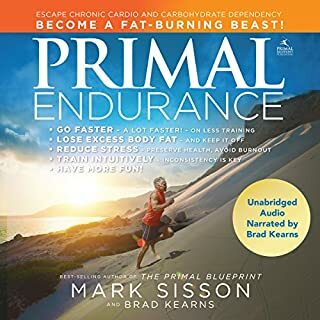 I lost 20lbs while running and listening to this book as i just didn't want to stop running as it meant my time with the book for the day would be over. Wow... This is an incredible listen. I loved it! The college years are funny and I thought how much it affected his life. The transformation into an Ultra athlete has been inspiring. Brilliant, loved it. A superb read. Rich made a brilliant contribution by reading the book himself. It made such a difference. 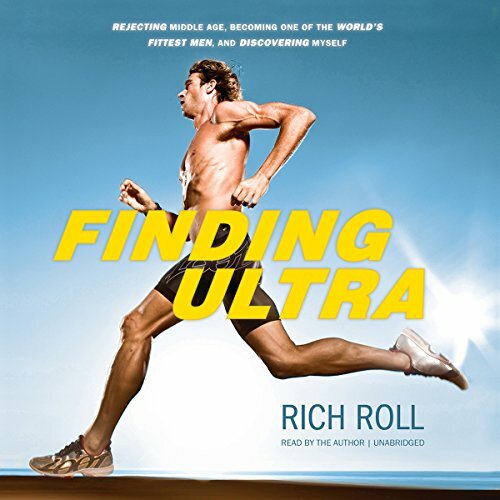 Rich Roll has an addictive personality ...... for swimming, then for alcohol, then for fast food and then, finally, for immense physical challenges and uber fitness... along with an almost religious-like conversion to a plant-based diet. However, all of it is credible seeing as he comes from the land where you can find extremes of anything. My daughter is a competitive swimmer doing hours of training each week, so I could really relate to the beginning of his story when he spent hours in the pool each week. I'm not quite a couch potato but I do have food issues and I found this story compelling listening. 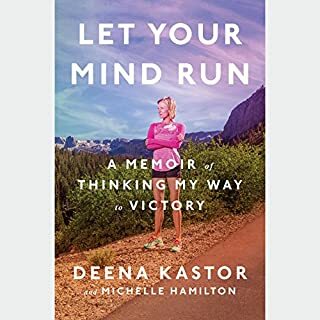 I listened to this book when I was out on a power walk, or on one of my early morning bike rides and it really inspired me. 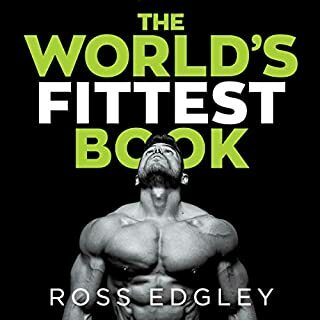 Rich has also made me want to take a step towards a meatless (or rather less meat) lifestyle and I do believe it is going to be one of those books that will change my life. The narration (by Rich himself) isn't the best, but it isn't irritating either. 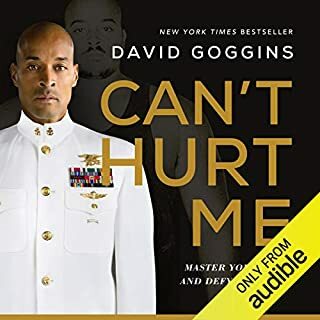 This is an incredible, inspirational book. The author is refreshingly honest and 'puts it all out there'. You feel involved and as though you are on the journey with him. I felt a bit misled by this title. The blurb neglects to mention that he was, in his youth, an incredible swimmer, Olympic standard. 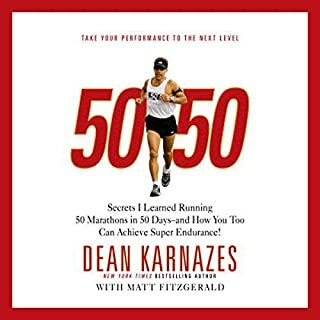 The start reminded me a bit of “Shoe Dog” by Phil Knight in hat both had very privileged backgrounds, the author having the choice off every Ivy League college in the US. And yet the most interesting part of the story (his decline into alcoholism and how he turned it around) is passed over too quickly. The impression is that the transformation from alcoholic to ultra endurance athlete took 6 months. It’s clear the author has an obsessive character and this drove him towards his goals. It grew on me this book. It's an interesting tale, and I found some bits genuinely riveting. I've also got no problems with veganism, but I hadn't been ready for the extent it was going to try to convert me. Especially given the strange mix of good science and downright laughable science - all jumbled together to leave it unclear what's true. Still fair play to him for turning his life around and it is an inspiring story. 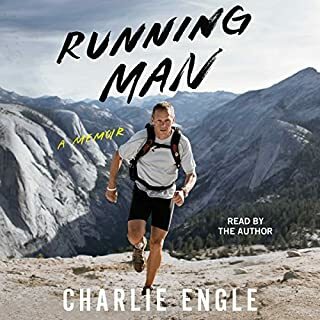 A lovely book, i found at times it could be a little slow,however did enjoy the last parts immensly where Rich was undertaking the ultra triathlons. i would definitely recommend this book. 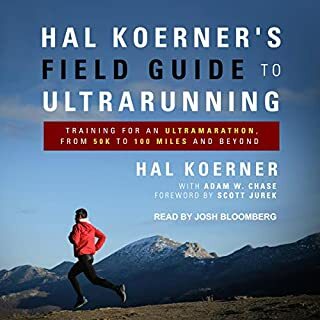 Excellent book, I was initially put off by the remarks about product placement, but he just mentions his vitamix blender a few times and some other brands, but it`s more like if a friend casually mentioned them to you than selling them. Certainly inspirational and some excellent information about a subject I thought I knew a fair bit about, but he`s certainly done more research into the field than most people. While I did enjoy this book it was nearly spoiled by some really clumsy hawking of products, both the authors own and some of his sponsor's. We get it, Vitamix blenders are amazing! 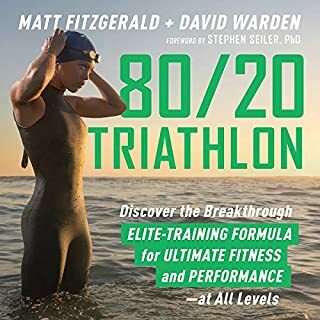 Despite the product placements and a slightly jumpy narrative I do recommend this book to anyone looking for an inspiring story or a motivational kick to their own health and fitness.